0oOOOoo! ooOOOoo! 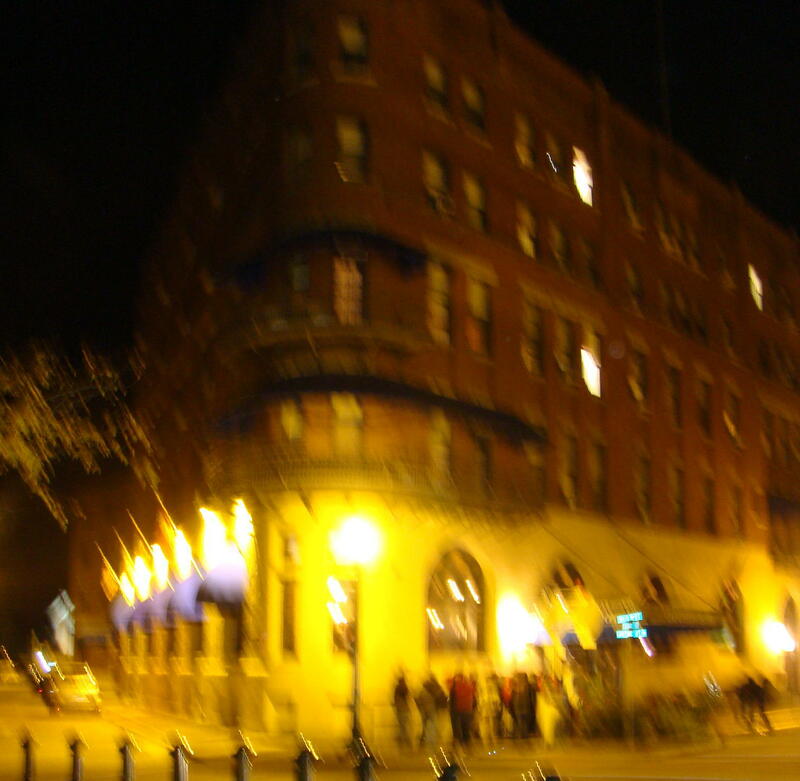 As the Ghost Lady leads a large group through downtown Marietta, Ohio, stories of ghosts are told on nearly every street. 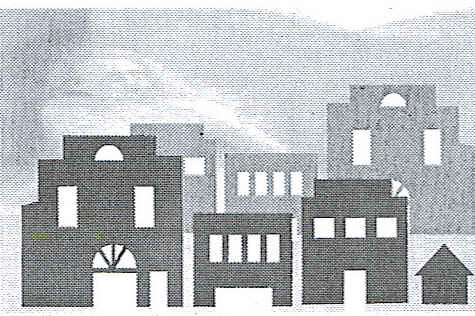 This is an old town with many restless spirits left over from the past. Ghost Trek is a two hour walking tour of historic and haunted Marietta and begins along the Ohio River on aptly named Ohio Street. Back in the early 1800s, this was the stopping off point for many riverboats. So naturally a bar was one of the first establishments to serve the travelers. The first bar to open ran out of whiskey in two hours and needless to say there were inebriated men walking the street 24/7, along with pick pockets and yes, ladies of the night. 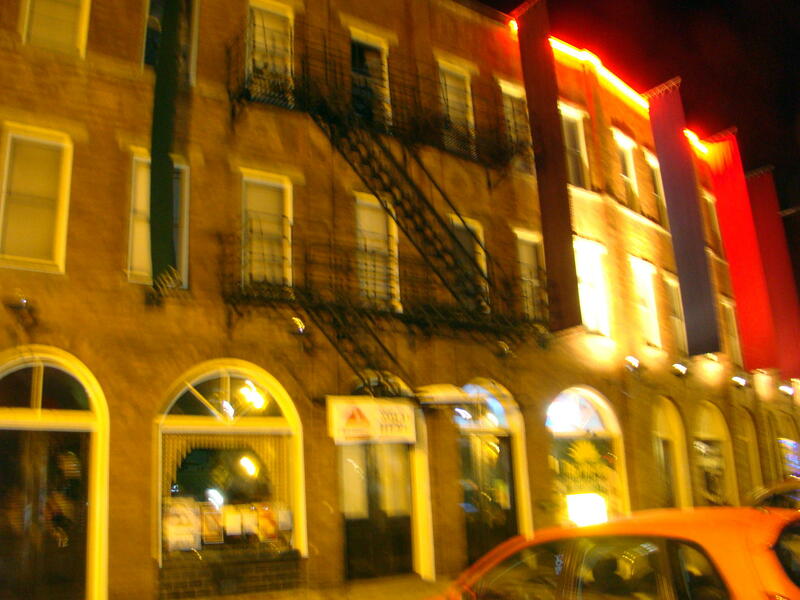 The LaBelle Hotel was a popular House of Prostitution and the building is still in existence today, called the Levee House Cafe. A story was told of a prominent businessman, who visited one of the young ladies frequently on the second floor. He attempted to keep this a secret, but one evening his son followed him to the hotel with an axe. The son watched as his father ascended the steps to the second floor and then waited until the light went out in one of the rooms. Hastily, the son walked up to the second floor, opened the door, cut off his father’s head with the axe, and ran back down the steps to the street. Guilty? Not by the standards of those days! He was arrested but acquitted on the basis that he was defending his family honor. Today the people who live in this building still hear the sounds of footsteps climbing up the stairs, a time of quiet, then footsteps running down the stairs again. This is called residual haunting as the energy released in the environment during a traumatic event may reappear as an echo of its original form. On to the Lafayette Hotel where the third floor seems to have lots of unsettling paranormal activity. Built in 1918, every death that has occurred in this hotel has happened on the third floor. Guests frequently complain of personal belongings being moved around. One man commented, ” I am a science teacher. I don’t believe in any of this stuff”… until his belongings in his room got rearranged and some came up missing. 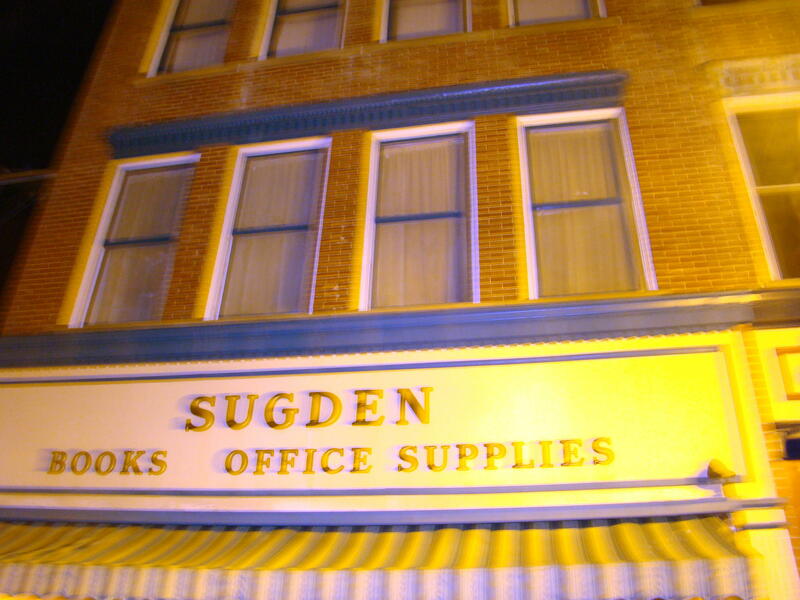 Fifty paintings of artist James Weber (1888-1958) were brought to Sugden Book Store for an art show on the second floor. Melancholy Weber loved his art work, but was forced to run the family grocery store. So he said that when he died he wanted all of his paintings burned. But someone found fifty that were left behind! After careful setup for the art show, the owners were very pleased with their findings. Next morning when they arrived to open the show, they found the table had been knocked over as well as the pictures. On the desk was a real estate report – a deed from 1932 for James Weber’s art studio, right there on the second floor! Restoration of the old Colony Cinema was seen firsthand as the group had special permission to enter the theater. Here, it is said, the ghost of the former owner, Mr. Shay, travels via an underground passageway between the Colony Cinema and Mid Ohio Valley Players Theater across the street. 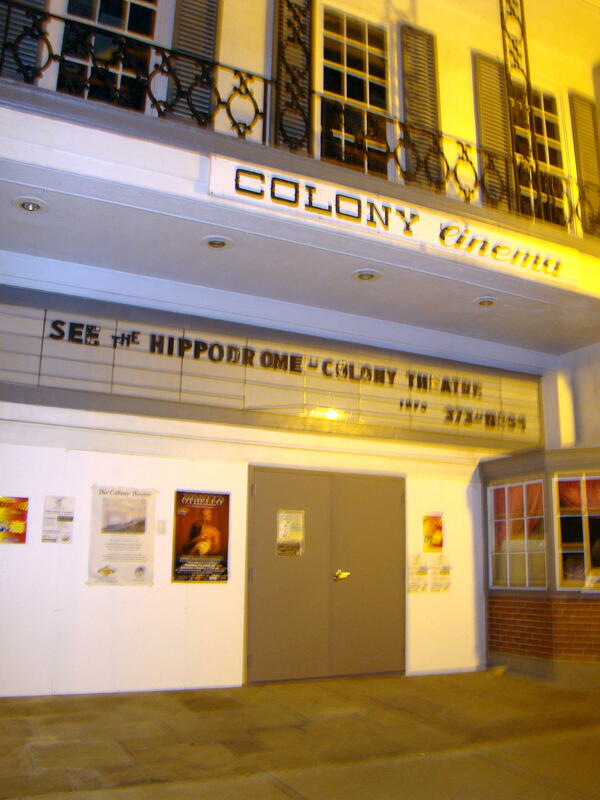 Colony Cinema has been an important part of the Marietta community since 1919 when it was The Hippodrome Theater, the premiere showcase of Marietta and the surrounding area. Some of Hollywood’s biggest names, including Frank Sinatra, Judy Garland, and Boris Karloff, appeared on its stage. Its gorgeous original asbestos fire curtain has been rediscovered and is being restored to be featured predominately in the restored Colony Cinema. The last stop on the tour was at Tiber Way Grille, where people hear sobbing, crying, and have an edgy feeling. They definitely feel it is haunted. Closer look at old lettering on the building perhaps gives a reason for this feeling. It says: Chronic Diseases The Sanitorium. This twenty six room hospital was used for tuberculosis patients in the early 1900s as well as for those with extreme mental problems. Fittingly, next door was Doudna’s Funeral Services! Nothing beats a haunted, moonlit night with ghosts of the past. To arrive in Marietta, Ohio take Exit 1 off I 77 and head west on Route 7, Greene Street. 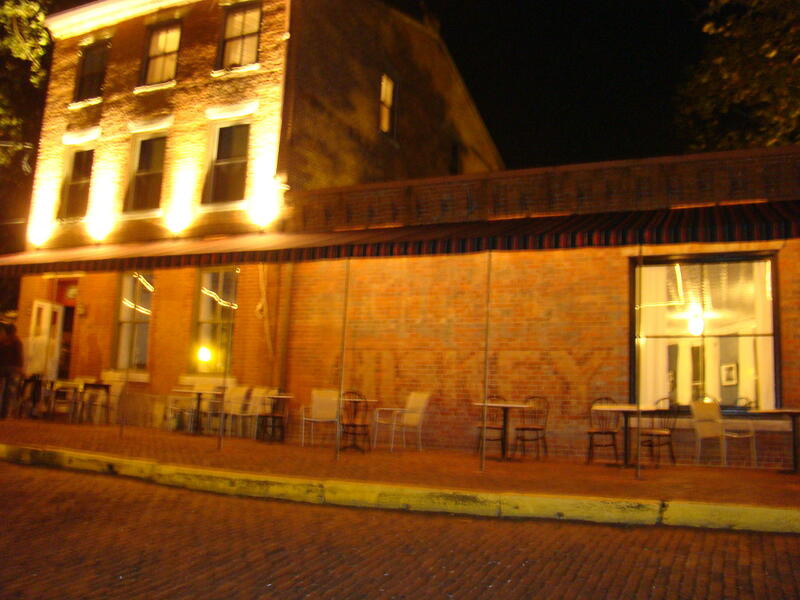 Where the Muskingum River meets the Ohio River, you will find the old Lafayette Hotel, the starting point for the Ghost Trek. This walking tour is under the expert guidance of Lynne Sturtevant, founder of Hidden Marietta and author of several books of Marietta history.